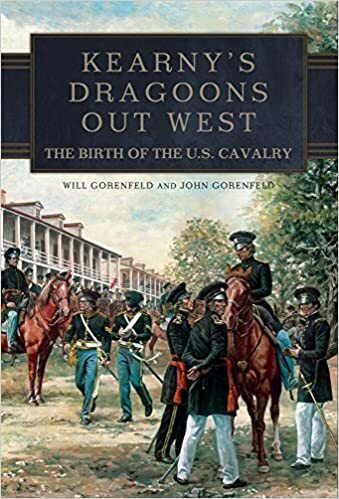 The regiment of dragoon is now completed to its establishment, and all the companies have marched to Fort Gibson, where the head quarters have been established during the winter. This regiment is composed of ten companies, of about seventy men each; each man is armed with a sword, pistol and carbine. The carbine is of a peculiar description; it is on the principle of Hall’s rifles, it loads in the breech, and the part containing the charge is so constructed as to separate from the barrel by mean« of a spring. This part may be called the chamber; and is about six inches long; when loaded, it is easily returned to its position, and then, if the percussion cap is put on the touch-hole, the piece is ready for firing; it requires no ramrod, yet it is furnished with one, which answers the purpose of a wiper, and, when drawn out, makes a bayonet equal in length in the barrel of the piece, and is a very formidable weapon. The whole piece weighs seven pounds and a half, and carries balls twenty-four to the pound. The dragoons are instructed to serve on horse or foot, as occasion may require. About this time, it is expected that they are on the expedition among the tribes of Indians inhabiting the country between the Rocky Mountains and the Mississippi. They arc in proceed across the country to the boggy of the Red River, thence westwardly towards the Mexican frontier, thence northward as far as it may be prudent to go, allowing time to return before the cold weather sets in. On its return, the regiment will descend by the Missouri on either bank. Four companies will winter at Fort Leavenworth, via: Wharton’s, Hunter’s, Ford’s and Duncan’s. Three companies, Sumner’s, Boone’s and Browne’s, on the right bank of the Mississippi, within the Indian country, near the mouth of the Des Moines. The other three companies, Trcnor’s, Bean’s and Perkin’s at or near Fort Gibson. The expedition, it is understood, will be accompanied by several gentlemen of science, who goat their own expense. The object of the expedition in to give the wild Indians some idea of our power, and to endeavor, under such an imposing (oree, to enter into conferences with them, to warn those Indians who have been in the habit of robbing and murdering our people who trade among them, of the dangers to which they will be exposed in case they continue their depredations and massacres. Several delegations of’ the newly emigrated Indian, now settled beyond the states and territories, to the westward of the Mississippi, as well as the Osages and other tribes near them, will accompany the expedition, in the hope of making treaties of friendship with the wild tribes, and thus prevent, for the future, the recurrence of those wars which are s? common among the Indians. 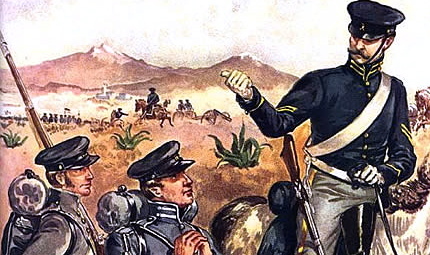 The expedition, it is hoped, will result in much good: it will afford protection to the civilized Indians, to our frontiers, to our trade with the natives, and cover the Santa Fe caravans trading with Mexico; and, perhaps, enlighten the Indians generally as to the humane policy of the United States towards them, and also as to their own true interests. Officers Attached to the Corps — Corps — Big Nemohaw— A traveling bridge — -a novel craft — man drowned — Little Nemohaw — Saline. 2nd Lieut. E. Steen, Ordnance Officer; and Assistant Surgeon B.F. Fellowes. Our course for the first twelve days lay over that beautiful and highly interesting country, lying between the Missouri River on the East, and the Ottoe country and the Platte River on the West. This portion of country had so often been described by other travellers, and particularly by Mr. John T. Irving, in a late work, entitled “Irving Indian Sketches,” that I shall pass it over , merely noticing some few of the most important events connected with the march to the Ottoe village. In consequence of the early rains which commenced falling nearly simultaneously with our leaving Fort Leavenworth, all the little prairie creeks, which in ordinary seasons, contain little or no water, had become swollen to an almost impassable degree. The first stream of any importance which became necessary for us to cross was the Big Nemohaw. This river takes its rise in the Prairie, and after running a north-west course about one hundred miles, falls into the Missouri below the mouth of the Platte. As was expected, we found it nearly so high as to be out of its banks, and with a current really frightful. The great question then was how are we to get our ordnance and wagons across the river? Various modes were suggested, but all seemed objectionable. At length, a raft or jam of logs was found in a short bend in the river, which extended completely across the stream, and which appeared to be solidly embedded in the bottom. To throw a bridge across at this point, making the raft serve as a foundation, seemed the most feasible, as well as the most speedy and safe, mode of crossing. Accordingly, a detail was ordered for each company, which, under the direction of Lieut. Steen, commenced operations. Timbers were cut and laid about half way across the river, as a foundation on which to place pluncheons. In less than three hours the bridge was half completed. In the meantime the river continued to rise rapidly. All at once, and while I was standing upon the bank of the river, congratulating myself and my fellow officers upon our good fortune, lo! the raft, bridge, and all, took the line of march “for New Orleans and intermediate ports.” At the moment the alarm was given that the raft was moving, there were nearly twenty men at work upon the bridge; and several others seated upon the logs, fishing in the Nemohaw. Such a scampering hath probably not been seen since the flood. Happily, all reached the shore in safety. After the disaster of the morning, it became necessary to cast about for some other mode by which our baggage and such of the command as could not swim, could be conveyed to the other side of the river. As good luck would have it, someone suggested the possibility, that the body of a small body of a wagon belonging to one of the officers, might be so calked and otherwise repaired as to answer in the place of a boat. After an hour’s work, this novel craft was launched in due form, and found to ride upon the water as though it had been its natural element, and by attaching ropes to each end of the boat, it could be drawn from shore to shore with great facility. While these preparations were going on, our enterprising friend Capt. G.——, who accompanied the expedition as guide, was employed in constructing another vehicle which, to me, was equally novel. This second non-descript was manufactured from the hide of an ox, which that morning had been butchered. Within two hours from the time the ox was quietly grazing upon the luxuriant grass of the prairie, his skin was upon the waters of the Big Nemohaw, and conveying from shore to shore a burden of six hundred pounds.— In one day the command crossed in these boats with all its baggage without the slightest loss or accident, after which, the horses and mules were made to swim the stream. The Indian traders, Messrs. O’Fallon and Winter, who accompanied the expedition, were not equally fortunate in crossing the Nemohaw. After crossing their goods in skin boats, and while they were engaged in swimming their horses, one of their men was drowned. In attempting to swim his horse, he was thrown from his back; and in endeavouring to regain his seat, the horse struck him with one of feet upon the back of his head with such violence as is supposed to have deprived him of sense, He instantly sank, and owing to the swiftness of the current was seen no more. A march of twenty-five miles brought us to the Little Nemohaw, a stream running nearly parallel with the Big Nemohaw, and which also falls into the Missouri. Although not so large as the first, yet we were compelled to cross it in the same manner. Having killed another of our beef cattle for the use of the troops, we were enabled to add another boat to our squadron. The only stream of any importance, after leaving the Little Nemohaw, is the Saline. The water of this stream, when not swollen by recent rains, is very salt to the taste; it is from twenty to thirty yards wide, with a rocky bottom, and may be forded without difficulty.